This entry was posted in Books, Bridges and tagged British Ports and Harbours, Edmund Blunden, English villages, F.Fraser Darling, Ironbridge, Leo Walmsley, The Story of Scotland by Katrina. Bookmark the permalink. I’ll be interested to know if the Severn looks any cleaner and faster at a different time of the year. I love those book covers, too. I’ve never seen this series. I hadn’t seen this series until I bought the English Villages one – I think less than a year ago. The Severn is a mighty river indeed; I imagine it may well look sinister at times, and have legends associated with it. It must have a large catchment area or one with high rainfall; and the floodplain down-country is extensive. The Severn Bore is a fascinating thing! Our North Island rivers tend to flow deep and slow for most of their journey to the sea, whereas those in the South Island usually have wide shingle beds and braided streams as they cross country, a very different character altogether. Those books look marvellous – I envy you the “Ports and Harbours”. 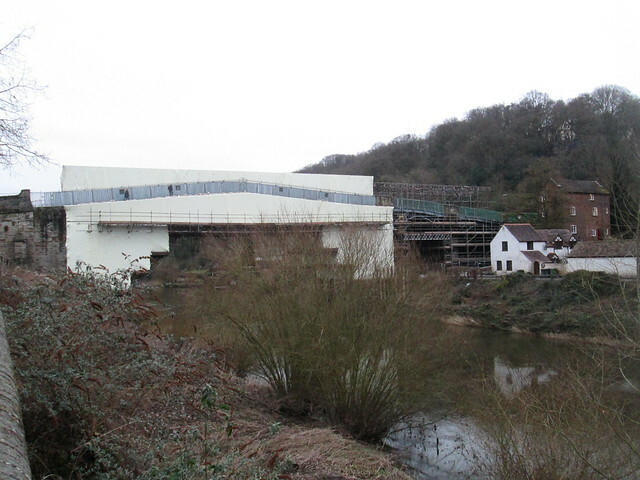 It’s quite narrow at Ironbridge. Thanks for jogging my memory, just about every year they show the Severn Bore on TV with all the surfers having fun, and as I recall it even looks really dirty then as the tide pushes in from the sea. Maybe the Severn is very deep as it seems more like your North Island rivers.